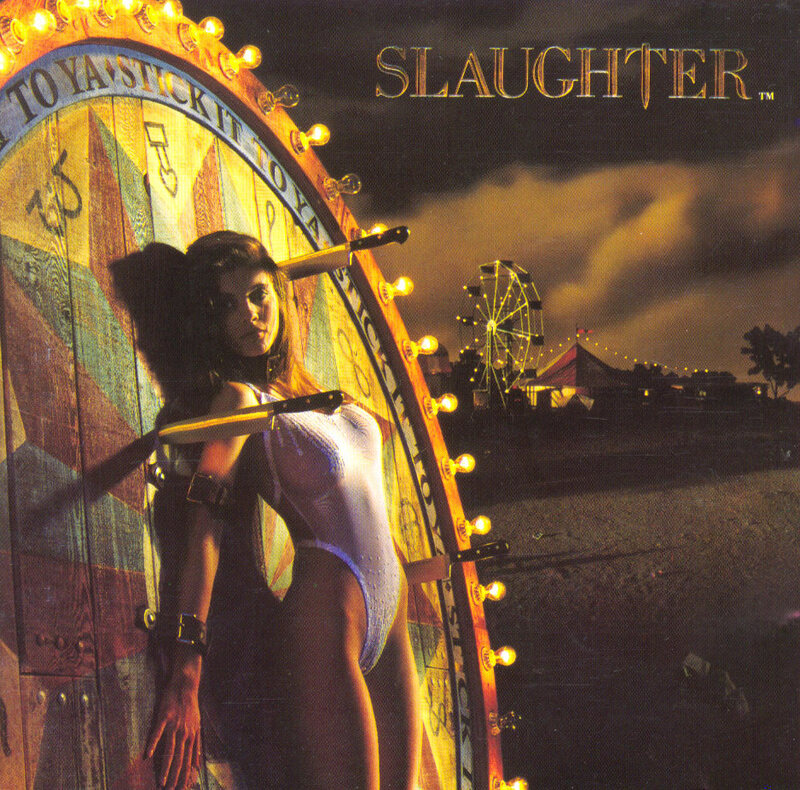 Slaughter is a hard rock band formed in Las Vegas, Nevada in 1988. Their debut album,”Stick It To Ya”, was released in 1990 on Chrysalis Records. The album went multi-platinum and was nominated for the best metal album of the year award at the American Music Awards in 1991. 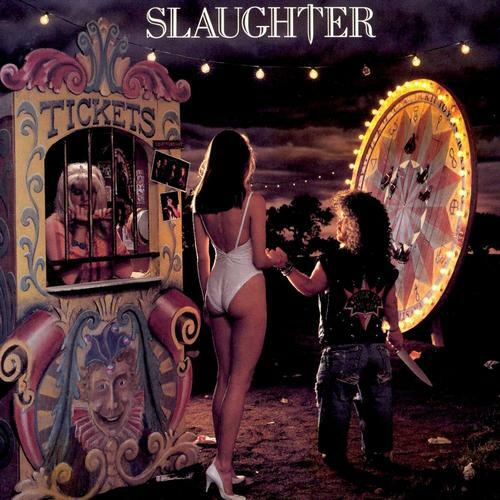 Slaughter also released a live album,”Stick It Live”, in 1990 which went gold. Both albums have outstanding album covers featuring the artwork of Glen Wexler, an internationally recognized photographic artist. This work features the narrative and surrealistic sensibilities that gained Wexler fame in the music industry as a preeminent album cover artist. Glen Wexler is known for producing digitally enhanced altered realities by extending the boundaries of the photographic medium. Wexler has done album covers for such famous rock bands as Van Halen, Rush, ZZ Top, and Black Sabbath. Wexler also created a fantasy album cover for the Rock and Roll Hall of Fame and Museum exhibition “The Greatest Album Covers That Never Were”. Simply want to say your article is as astonishing. The clearness in your submit is simply great and that i can think you are an expert in this subject. Well along with your permission let me to grasp your feed to keep up to date with imminent post. Thank you 1,000,000 and please continue the rewarding work. Hi, i believe that i saw you visited my web site so i came to return the prefer?.I am trying to find things to enhance my web site!I guess its adequate to make use of a few of your concepts! !